Ornaments are now up in my Etsy shop! I have some new patterns for this year, so please take a look! This sunday i will be at the SoWa Open Market in Boston! Please come visit me! It is the last one of the season and it is halloween themed, so feel free to dress up! It should be a lot of fun. 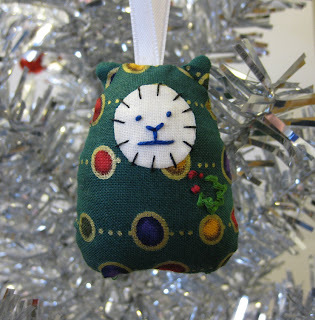 You may also get a sneak peek at my Christmas Chubbikins! That is, of course, if i finish them in time.